The Detroit Lions Radio Network is a radio network that broadcasts all of the NFL's Detroit Lions games and related programming. All preseason, regular season, and postseason games are aired live throughout the network. WJR (760 AM) in Detroit is its flagship station. As a maximum power clear-channel station, WJR can be heard carrying Lions games from hundreds of miles away on clear nights. The announcers are WJBK (Fox 2) sports director Dan Miller with play-by-play and former Lions offensive tackle Lomas Brown with color commentary. Network coverage begins one hour before game time and ends one hour after the game's conclusion. Games are also available online with a subscription NFL Game Pass. Dan Miller has been the radio play-by-play voice of the Lions since 2005. Miller succeeded Mark Champion, who had called play-by-play for the team from 1989-2004. Van Patrick called play-by-play from 1950 until his death in 1974. Other past announcers for Lions radio include Frank Beckmann and Bob Reynolds. Jim Brandstatter was the Lions' radio color commentator from 1987–2017. Tony Ortiz provided Lions sideline reports from 2001 until 2016. He produced Lions games broadcasts from 1991-1994. WXYT-AM was the sole flagship station of the network from 1998-2004. In 2005, the Lions' flagship became an FM station for the first time in their history, when a long term agreement was signed with WKRK (now WXYT-FM). Detroit's WWJ was the team's flagship station prior to 1998, and continued to simulcast WXYT-AM's broadcasts prior to the team's move to WKRK. Prior to 1989, WJR had served as the Lions' radio flagship. 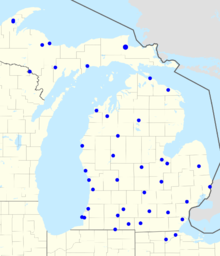 Former names of the network include "The WXYT 1270 Detroit Lions Radio Network", "The WKRK Detroit Lions Radio Network", and "The Live 97.1 Detroit Lions Radio Network" (WKRK-FM is WXYT-FM's former callsign, and Live 97.1 is one of its former brandings). WXYT-FM was the Lions' flagship from 2004–2015. On November 20, 2015, it was announced that the Detroit Lions would move to WJR beginning in the 2016 NFL season, ending the team's 20-year relationship with CBS Radio. Officials stated that CBS had dropped the team over demands that it censor on-air content that was critical of the team. In particular, the Lions specifically demanded that flagship station WXYT-FM fire popular on-air personality Mike Valenti as a condition of any extension to its broadcast rights since Valenti has had a history of making remarks critical of the Lions and their poor performance. WXYT-FM refused to do so, and he remains at the station. ^ a b c "CBS Detroit: Lions censorship demands caused split". The Detroit News. Retrieved 20 November 2015. ^ a b "Want to listen to the Lions in 2016? Tune in to WJR-AM". Detroit Free Press. Retrieved 20 November 2015. This page was last edited on 3 March 2019, at 17:56 (UTC).